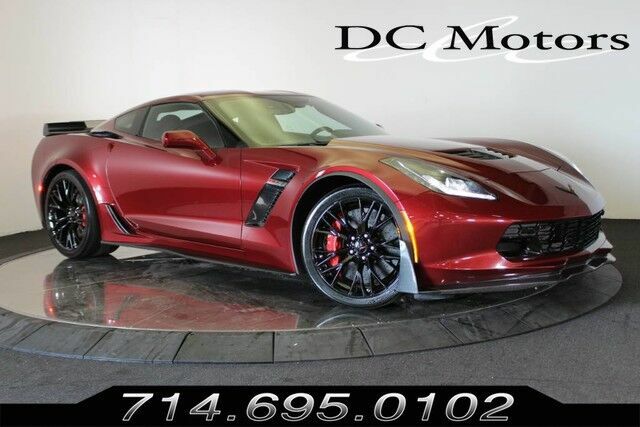 Optioned with Z07 Performance/Suspension Packages, Carbon Fiber Package, 3LZ Package ($8,650) which includes features like Navigation, Napa Leather, Heated/Vented Front Seats, Premium Sound System, Performance Data/Recorder, Heads Up Display and more. Other options include Competition Sport Seats. This vehicle is a former factory licensed GM driving school Corvette and is under factory warranty with limitations, please inquire for full details and description. For more information about this vehicle and attractive financing options, please call our experienced sales team at 1-800-730-MOTOR.